Ghana international Jordan Ayew is pleased to be moving in the right direction with Crystal Palace this term. The marksman joined the Eagles on a season-long loan from Swansea City before transfer deadline day last month and he has since managed to beat Christian Benteke to claim the centre-forward position. On Saturday, Ayew played just his second game in the Palace shirt but he managed to provide the assist for Wilfried Zaha, who netted the winner in the 1-0 victory over Huddersfield Town. Speaking after that game, he said: “I am pleased because we won; the most important thing is the three points. I have been working really hard since I joined the club. 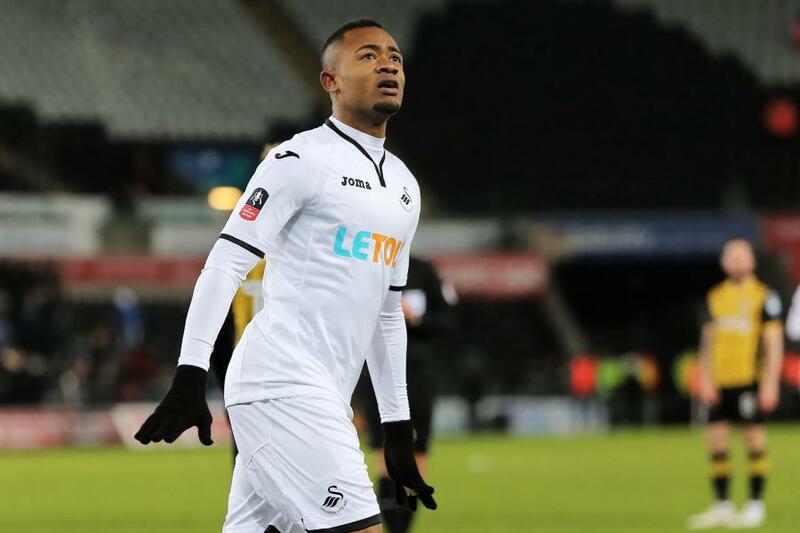 “Ayew was a valuable player for Swansea City during the course of the previous campaign “ but his tally of seven league goals was not sufficient in helping the team beat the Premier League drop. As a result, he “was constantly tipped to “make way from the Swans before the transfer deadline and he eventually managed to do so on deadline day with Palace coming forward for his services. Judging by his start, Ayew appears to have already established himself in the centre-forward role ahead of the struggling Benteke and this may earn him a permanent contract at the turn of the year where Roy Hodgson’s side are said to have the option to buy. Crystal Palace are presently 12th on the table with six points from their opening five matches.